Nyamira County Assembly will spend Ksh379 million in construction of a modern office block with a restaurant, barber shop, salon and a gym. According to Speaker Moffat Teya, the honourable members have been crossing borders to get the services in other counties. “The construction will be a relief to the county assembly members who have had to go the neighbouring Kisii County to get those services,” says Teya. 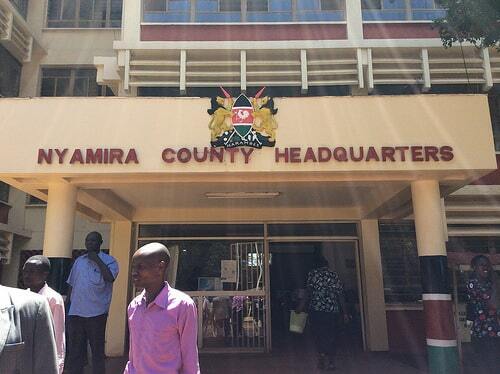 Media reports indicate that another Ksh2 million is to be used to carpet and sound proof the offices of the Nyamira County Assembly Clerk, Deputy Speaker as well as that of the Majority and Minority Leaders, he added. On Monday, the Speaker officially handed over the site for construction but did not disclose the name of the contractor.